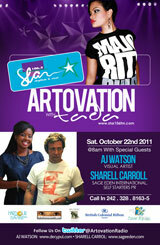 This Saturday, November 5th tune in to ArtOvation live on Star 106.5 FM to hear from Bahamian sprint athlete, Debbie Ferguson and artist, Jackson Petit. 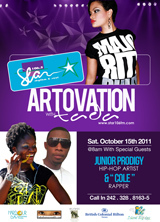 This Saturday, October 8th at 8am tune in to ArtOvation live on Star 106.5 FM. 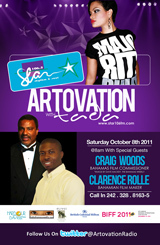 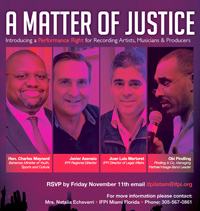 This week's program features Bahamas Film Commissioner, Craig Woods; and writer, producer, actor and director, Clarence Rolle. 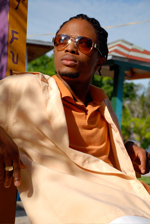 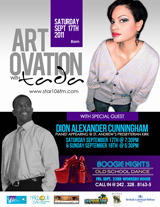 This Saturday, October 1st, at 8am, tune in to ArtOvation on Star 106.5 FM we feature Dyson Knight. 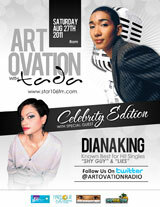 Our guests this week are Leslie Vanderpool (BIFF) and Jan Knowles (RBC). 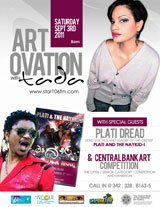 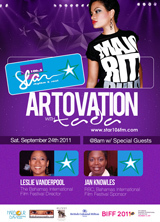 This Saturday, September 3rd at 8am tune in to ArtOvation live on Star 106.5 FM. 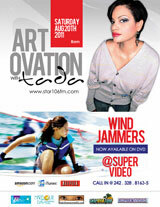 This Saturday, August 20th at 8am tune in to ArtOvation live on Star 106.5 FM www.star106fm.com to hear from the Bahamian film, Wind Jammers. 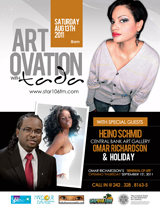 We'll have one of the directors and cast in studio. 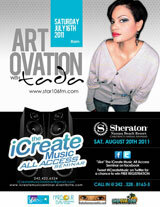 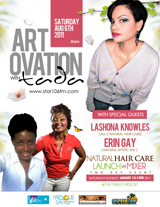 This Saturday, August 13th at 8am tune in to ArtOvation live on Star 106.5 FM. 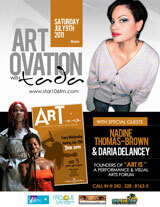 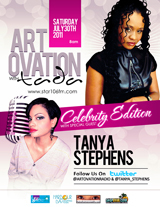 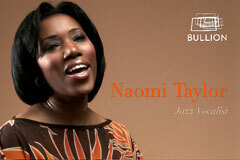 Every Saturday, July 9th at 8am tune in to ArtOvation live on Star 106.5 FM www.star106fm & call-in at 242-328-8163-5.